Constitution Day in Uzbekistan is celebrated on December 8. This public holiday commemorates the adoption of the Constitution of Uzbekistan in 1992. Uzbekistan had been part of the Soviet Union for over six decades until the dissolution of the USSR in 1991. During the Soviet era, the Constitution of Uzbekistan was modeled after the supreme law of the Soviet Union. The last Communist Constitution of Uzbekistan was adopted in 1978. Uzbekistan declared its independence from the Soviet Union in 1991, and the development of the new constitution began. The Supreme Council of Uzbekistan adopted the constitution on December 8, 1992. 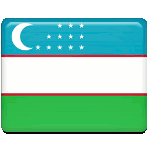 The country's new supreme law created a separation of powers and declared Uzbekistan a democratic, secular, unitary, constitutional, presidential republic. Constitution Day is an important national holiday widely celebrated throughout Uzbekistan with various events and activities, including (but not limited to) official speeches, solemn ceremonies, marches and parades, cultural events, concerts, exhibitions, educational events, charity events, sports competitions, etc. The largest celebration is held in the capital city of Tashkent.